It is starting to become a common theme in my introductions to my weekly PrixView but, simply put, Monaco wasn’t a dull procession. Monaco even had rain! Canada is next too. Lewis Hamilton has also managed to significant dent Nico Rosberg’s title lead and spiced up the championship battle. You can’t ask for much more if you are a Formula 1 fan, but you may not feel the same if you support Daniel Ricciardo (£14m) as his second chance at a maiden 2016 victory got seemingly snatched from his grasp once more. I can’t help the Australian, but hopefully the analysis of the plethora of bonus points available to a Fantasy players below may help the grasp on your own league a bit! It isn’t surprising to see that Romain Grosjean (£5m) and his Haas team lead the way after a particularly impressive first two races of the calendar year. The French-Swiss driver has made up an incredible 26 places in six races, although Lewis Hamilton’s (£24m) up-and-down campaign has left him only 1 place and 3 points behind – good news for the 35.4% that have selected the Britain in their line-up. It is the cheaper drivers that make up the majority of the top-half, which would appear to make sense given their extra opportunities to take advantage of retirements or to make bold strategic moves. In fact, the average purchase price of the top bonus points earners is only £8m, compared to £11.5m in the bottom eleven. This does not bode particularly well for either Carlos Sainz (£6m) with only 2 place gains this season, giving only 6 points in total. Neither does Esteban Gutierrez (£3m) far well, being 48 points and 16 less place gains behind his team-mate. Gutierrez will be a bit more chipper if he considers his value to a fantasy player at 10 bonus points-per-million spent. However, the Mexican (picked in 7.8% of fantasy teams) still significantly trails the value of the bargain basement shopper’s dreamboat, Pascal Wehrlein (£3m) that offers value of 24 points-per-million spent on race day alone despite earning no championship points. This represents 9 more points per million than his colleague Rio Haryanto (£3m), and 7.5 more than last year’s value buy, Felipe Nasr (£4m), who still clocks in with a more than decent haul of 66. As an aside, Haryanto is the least popular driver in Fantasy GP with only 1.2% choosing the Indonesian driver, despite offering the fourth best value drive on the grid. This analysis probably best illustrates why it would be unwise to put your eggs in a strong driver-only line-up as the bonus points offered by the top of the grid is generally poor whilst race points are limited to 101 (split 10 ways) in any one race weekend! To put this in context, only Hamilton from the top 5 in the Championship standings features outside of the bottom five of the bonus points charts (for both total bonus points and value). Don’t dismiss your “filler” drivers – they are more important than you think! 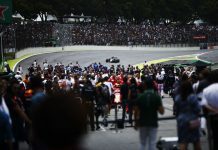 Other Tips – Hamilton tends to thrive on the Montreal tarmac and his win last year was his fourth in only eight attempts on the track that delivered his maiden F1 win. Red Bull’s engine upgrades will be properly tested in Canada and they’ll be under pressure to outperform Ferrari again, whilst a Mercedes one-two combination would an obvious safe bet. Max Verstappen (£8m) will be looking to both put his Monaco-nightmare and his 15th last year behind him and must be tipped to get back, on stay on, track here! Ultrasofts appear to be the order of the day as that is the most favoured compound across teams, with some slight divergences amongst various rival outfits, but Montreal is likely to be a far bigger test than the streets of Monaco. 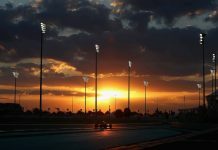 Weather is currently predicted to be dry for qualifying and the race, but with rain around for the entire weekend there is an option of shaking up your predictions if you want to gain on your rivals. Five of the last ten races here have featured a safety car, but your choice on selecting a number is a difficult one, with 2011 featuring an infamous five in total (the same number as in Monaco last race weekend). Here’s to a lucky number seven for F1 2016. Don’t forget those predictions!